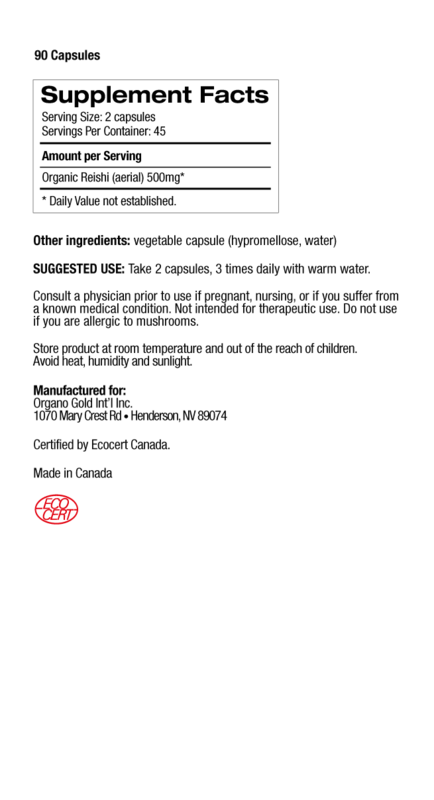 Organic Ganoderma lucidum – the “King of Herbs”. There are different components of the Ganoderma mushroom: the spores (seeds ready to pollinate), the Mycellium (early harvest) and the lucidum (the mature plant). 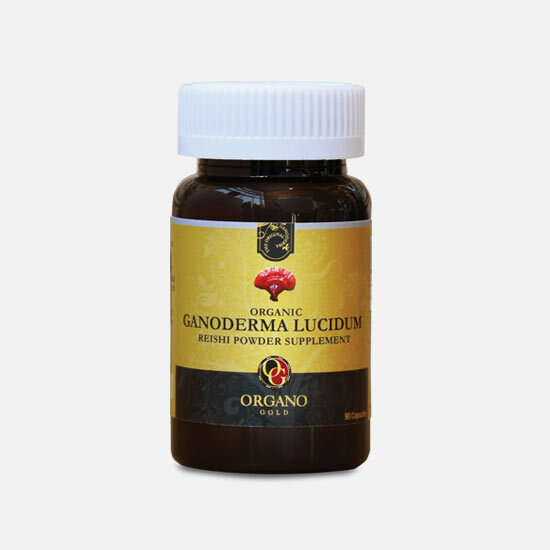 The Ganoderma lucidum is harvested at its peak of maturity, around 8 months of age. Ganoderma lucidum is a large, dark mushroom with a glossy exterior and woody texture. The Latin word lucidus means “shiny” or “brilliant” and refers to the varnished appearance of the surface of the mushroom. In China, G. lucidum is called lingzhi, whereas in Japan the name for the Ganodermataceae family is reishi or mannentake. This mushroom has been used for over 2000 years and was documented in ancient scripts. The mushrooms are unique in that they grow on wood, mostly out of large trees (living or dead) in forests in the more tropical regions of Asia. Their long brown stems and orange-coloured caps make them a spectacular sight, but in the wild they can be hard to see because they thrive in such heavily forested areas. At ORGANO™, we source only the finest quality Ganoderma, grown undisturbed on logs high in the Wuyi Mountains of China’s Fuzhou region. ORGANO™ is the only North American company who has partnered with the largest certified organic Ganoderma plantation in the world to bring this “treasure of life” to the Western world. In 2009, ORGANO™ and its partners celebrated the groundbreaking of their $240 million Gano Herb Industrial Park, the largest of its kind in the world.